Choosing the correct London letting agent for you is as important as finding the right person to live in your home or rent your investment property. 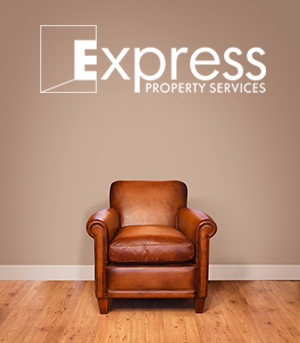 At Express Property Services we make the difference by tailoring our advice and services to match your needs. You won't be handled by various members of our team – instead the same letting agent individually takes you through every stage of the process when you have a property to rent in Chiswick and west London. Having been in the industry for over 30 years, we're an established professional residential letting and management agency, specialising in rental property in Chiswick and its surrounding areas in west London. Our knowledge of this part of London, and our commitment to advising on all the latest property regulations, mean we can act fast whatever the question or concern. Finding the right tenant for your property is one of the most important things we do. Through our marketing expertise we're able to offer your property to a wide audience and only put forward tenants shown to be responsible and reliable. We also provide landlords with a customisable range of property management services. Whether you're becoming a landlord for the first time or have rented out many properties be reassured that we have been a member of ARLA (the Association of Residential Letting Agents) since 1992. ARLA is the UK's foremost professional body for letting agents. They actively promote the highest standards across every aspect of residential lettings and management in the private rental sector. The association is viewed by government, consumer groups, think tanks and the media as the leading voice in the lettings industry and we are a very active member. Agents who are currently UKALA members have many benefits. For example, UKALA total loss CMP (Client Money Protection). It’s the most comprehensive CMP cover available on the market and ultimately helps to safeguard property agents’ clients’ money. UKALA membership also includes automatic membership with the PRS (Property Redress scheme), so tenants and agents can feel safe in the knowledge that their agent is compliant with all current legislation. If you are looking for a professional and knowledgeable letting agent to rent out your property in west London then contact us today.